The other night, I was arbitrarily surfing the web and somehow made my way to a Wikiquotes page full of the truth bombs of “Iron” Mike Tyson. While a great many of the quotes were irrelevant (i.e., “Being a champion opens lots of doors—I’d like to get a real estate license, maybe sell insurance.”), I quickly found myself immersed and hanging on every word. When it comes to judgment and love — or at least the devastating effects of a lack of love — this guy gets it. 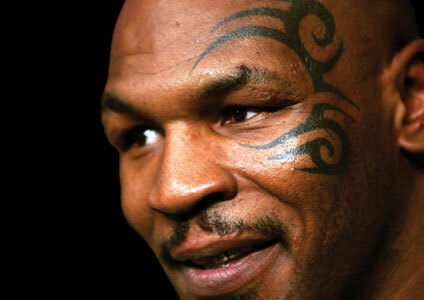 Mike Tyson is known for ripping people’s heads off, and readily admits he is a pretty troubled dude. He is also a Muslim. But if his self-understanding is to be taken at face value, Tyson may also be the ultimate example of what controversial Jesuit theologian Karl Rahner controversially calls an “anonymous Christian,” someone who “in [their] basic orientation and fundamental decision accept[s] the salvific grace of God, through Christ, although [they] may never have heard of [or even rejected] the Christian revelation.” In other words, the lamest of sheep in the clothes of the biggest, baddest wolf. 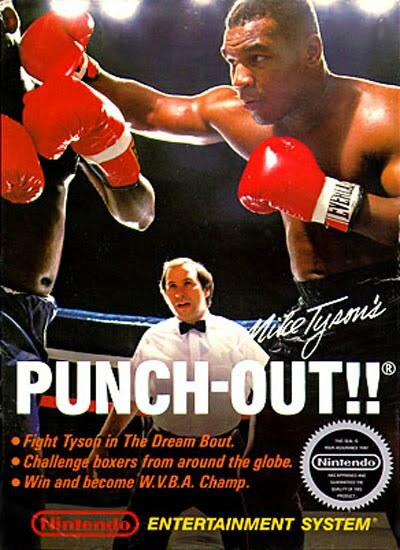 Let’s warm up with a few not directly relevant Mike Tyson classics to properly contextualize what follows. That last quote is both sad and outstanding. wow that article was breathtaking, the man is so insightful – I have been meaning to watch TYSON for months but kept putting it off, now i want to watch it tonight! He knows what it is to live out Romans 7:18 "I know that nothing good lives in me, that is, in my sinful nature. For I have the desire to do what is good, but I cannot carry it out." "If anyone thinks he is something when he is nothing, he deceives himself." He knew the truth about himself even then – wow! Thank you for sharing this story it was really powerful – what wisdom from one who had it all and nothing, it reminds me of Paul at the end without the contentment part obviously. However he seems at peace in who he is. I think the idea of the "Anonymous Christian" is going to generate some controversy on here, but those quotes are incredible. Thanks so much for posting. 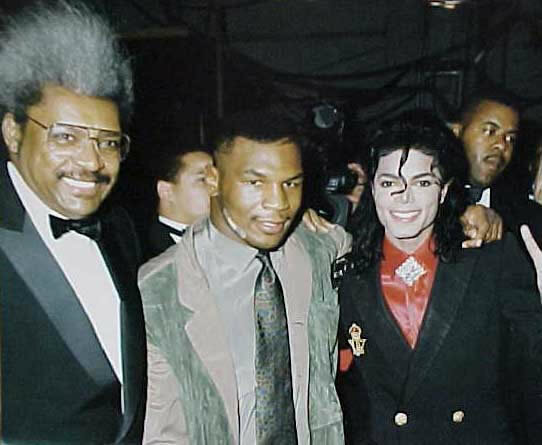 That Tyson documenatary is one of my fav. films. Powerful is an understatement. Maybe I am wrong about Tyson, but this strikes me as a man who is very proud of his self-awareness of being "broken" — so proud, in fact, that he is convinced that Jesus would love to have a drink with him and chide him a bit about it. So proud, in fact, that he is convinced that he and Jesus stand shoulder to shoulder against those "other people" out there who "call themselves" Christians but who are the hypocrites of this world who don't understand what Jesus really is about. This is the very depth of hypocrisy and arrogance– and as far as you can get from the truly "broken" and self-aware Peter, who, confronted with who he really was and who Jesus really was, could only say, "Depart from me, for I am a sinful man." Then comes real understanding of the love and grace of God. MC: But as for the "anonymous Christian" tag, whatever that means, I do think that by that standard a great many professing Christians may be "anonymous Muslims". "Anonymous Christian" reminds me of the parable of the wheat and the tares, and also when Rod Rosenbladt points out how upset he is about the fact that "there will be a few IRS agents in heaven." That Tyson documentary is heavy. He seems to have no filter in it, like he is incapable of saying anything other than the thing that comes to mind immediately. A very honest dude in that sense. I have been thinking about MC's comment, and I was wondering about some questions: Can we ever fathom the depths of our brokenness? If we do think that we can comprehend how truly broken and in need of Christ we are, are we still just like Peter in our own hypocrisy? Can we be content with being continually reminded that we are broken but will never be able (or rather God will not reveal to us) truly understand the extent of our despair (read: Kierkegaard)? I was aware that Vatican II had made some movement in this area, but I didn't realize that they had coined an actual term. Does anyone have any thoughts on the issue? This could be an interesting discussion. Karl Rahner accepted the notion that without Christ it was impossible to achieve salvation, but he could not accept the notion that people who have never heard of Jesus Christ would be condemned. Anonymous Christianity means that a person lives in the grace of God and attains salvation outside of explicitly constituted Christianity — Let us say, a Buddhist monk — who, because he follows his conscience, attains salvation and lives in the grace of God; of him I must say that he is an anonymous Christian; if not, I would have to presuppose that there is a genuine path to salvation that really attains that goal, but that simply has nothing to do with Jesus Christ. But I cannot do that. And so, if I hold if everyone depends upon Jesus Christ for salvation, and if at the same time I hold that many live in the world who have not expressly recognized Jesus Christ, then there remains in my opinion nothing else but to take up this postulate of an anonymous Christianity. According to Rahner, a person could explicitly deny Christianity, but in reality "existentially is committed to those values which for the Christian are concretized in God." "It would be impossible to find anywhere in the world a sincere Jew, Muslim or atheist who would not regard the assertion that he is an 'anonymous Christian' as presumptuous". Yes, Rahner's controversial theory of the 'anonymous Christian' is quite famous…Kung's quote represents the core of the objection. The issue that Rahner was trying to address, however, has no easy answer. Barth flirted with a version of soteriology that verged on universalism, and I think Capon and other modern voices might not be terribly dissimilar. On the other extreme are those who advocate a rather shrill version of predestination, sometimes complete with silly debates about lapsarian schemes. Nonetheless, in Romans 9, it seems Paul anticipates many objections to God's sovereignty in matters of salvation. While I am not the most staunch Calvinist around, I always like to play the gadfly with those who are thoroughly Arminian by asking them why they pray for God to save a relative/friend–because it seems to me that such a petition indicates a belief that without God's intervention, the individual would never come to know Christ. C.S. Lewis talks about this idea at the end of the Narnia series, too. But it's ridiculous. The idea that someone can "follow their conscience" and not realize that they're really following Christ means that the "following" is an act of works-righteousness (and goes explicitly against how Paul describes himself in Romans 7). I believe that many people who don't know about or properly understand Jesus will be saved — Jesus himself says that we will be surprised at who is inside the wedding banquet — but it's not because of some good thing that they're doing. It remains because of the completely undeserved grace of God on account of Christ. In the end, I think Rahner has just chosen a misleading nomenclature. How about "Surprising Saved Person?" Not as catchy, but at least takes the emphasis on how someone "really deserves to be saved" despite getting Jesus all wrong, or having never heard of him. I've heard people make the case that those who have not heard, will get an opportunity to hear as they stand before the Throne after death. This, however, seems to be a fantasy with little scriptural support. Furthermore, it would seem that if this is true, we ought to try to cease all evangelistic activity, so that the greatest number of individuals have an opportunity to hear the Gospel from God himself. Theological discussions aside – the Tyson documentary is worth a view. Powerful is a colossal understatement. I never felt he was smug, seeking sympathy, or being proud of his brokenness – he's like a guy who's mouth is wired directly to his brain and he came off as unusually transparent and without an agenda. How the filmmakers fostered such transparency is amazing. It's powerful powerful stuff. I want to echo Mr. T's statement about the film. It's really worth seeing. And also, I appreciate Nick's point about "surprising saved person". I do think there's plenty of scriptural support for the idea that salvation comes to many that we don't expect to find it (wedding banquet, wheat and tares). And passages like 1 Cor 7 about the influence of a believer's faith upon their family members is extremely mind-expanding. He says without equivocation that a believer's faith can save an unbeliever. I personally think that material is relevant in the context of infant baptisms for example, or with regard to people who die in comas, etc. It's fascinating, _optimistic_ stuff. Paulson dealt with this a bit in the q&a two years ago at the conference, when he pointed out that the questions Christians need to ask themselves is whether or not they are inclined to want people to be excluded from salvation or not. It's a good point. There's a section in the Grace in Addiction piece that delves into this material too. It's definitely controversial, and, for the most part, purely theoretical stuff. The hopes are less abstract, I think. The first thing I'd say is that Nick is right for us NOT to get caught up in a whole works righteousness thing. If Rahner has hit on anything of value, it's not the idea that these AC's are justified somehow through their sincerity, or good deeds, or committed principles, or sound conscience, etc. I like Nick's appeal to Christ's own testimony that there are going to be some HUGE surprises — Nick is thinking carefully about the scriptural witness and trying to keep himself rooted there. Now if there are going to be some huge surprises (see the parable of the sheep and the goats) then it strongly suggests that being an explicit Christian IN THIS LIFE might not be the only way Christ can bring people into a saving relationship with Him. Because that's what we expect — you gotta be a Christian to go to heaven. If it were true, why would we be shocked by all the saved having been explicit Christians? Nick has certainly reframed the issue properly, which is one of us setting limits (or not) to Christ's power. There's no question that the gift of conscious faith in Christ's blood today is a certain route of salvation. But to say that Christ is incapable of working in any other way — e.g. as in THE GREAT DIVORCE where the "Bleeding Charity" is reaching into and reclaiming lost souls even after physical death — that's something perhaps we shouldn't do. There's no question that No Can Come To The Father Except Through [Christ]. There's no question that at some point every tongue of all the blessed will explicitly confess that Jesus is Lord. But establishing a rule that this conscious confession must be prior to death in this life may be overreaching. Quick PS to Dylan: great comments, btw. Here is some of the scriptural support you may have been looking for. 1 Peter 3 tells us that Christ reaches down even to the dead (he descended into hell) and preaches "to the spirits in prison." Likewise we know from NT writers that Abraham and Moses were saved, and yet neither had any explicit knowledge of Jesus and his cross in their life. The Creeds are marvelously, and wisely, and Scripturally, silent on the question of "who is a sheep and who is a goat." Except, of course, that we are all goats, or rather wolves, absent the gift of a sheep's clothing. I don't disagree that one may be surprised about who is a part of the invisible church. My contention is with the idea that one may be justified by something other than explicit faith in Christ. It has long been my understanding that this is what Rahner proposed. Article 18 is a good Cranmerian rejoinder to his position, and I think it carries an anathema for good reason. Right Dylan… but if you look carefully at that anathema, it's attacking the idea that a non-Christian could be justified through his good works, or through his sincere devotion to Islam or Buddhism. That's clearly the main object of that article's attack. Nick, you, me, and I'm sure everyone at MB is agreed that this is not the case. ONLY Christ's mercy can save. No amount of sincere principled this that or they other thing can help. That's why I emphasized at the top of my comment that we should distinguish that (clearly wrong) idea from the question of what Christ is capable of doing for those persons who do not have an explicit conscious knowledge of him in this life. I can imagine a pagan soul falling down on its knees (so to speak) in the world to come and saying — "Lord Jesus forgive me!" — and such a person would be saved precisely through the power of Christ. Other suggestive scripture passages include places where Jesus reminds us that he has sheep in other folds. John Zahl has mentioned some others. And I agree with John that Paulson's comment a few MB conferences ago was right on the money. God is God; I am not God. Jesus separates the sheep from the goats, not me. I affirm Christ crucified and risen again as my only hope. What God does with his creation, every sparrow of it, is his business, period. dpotter– Great quote–that is a very RC view of "living in the grace of God" i.e. working like hell to be moral enough to "live in the grace of God" — Small wonder that such a God would throw a hard working Buddhist a "grace" bone. Mike stated on Jimmy Kimmel show how early on that he had “inner hostility” however, he expressed he has overcome that, therefore, we all in the world take note and realize he is brand new these days. Like 2 Corinthians 5:17 hints he is brand new nowadays and the old Mike is not the Mike Tyson of today.